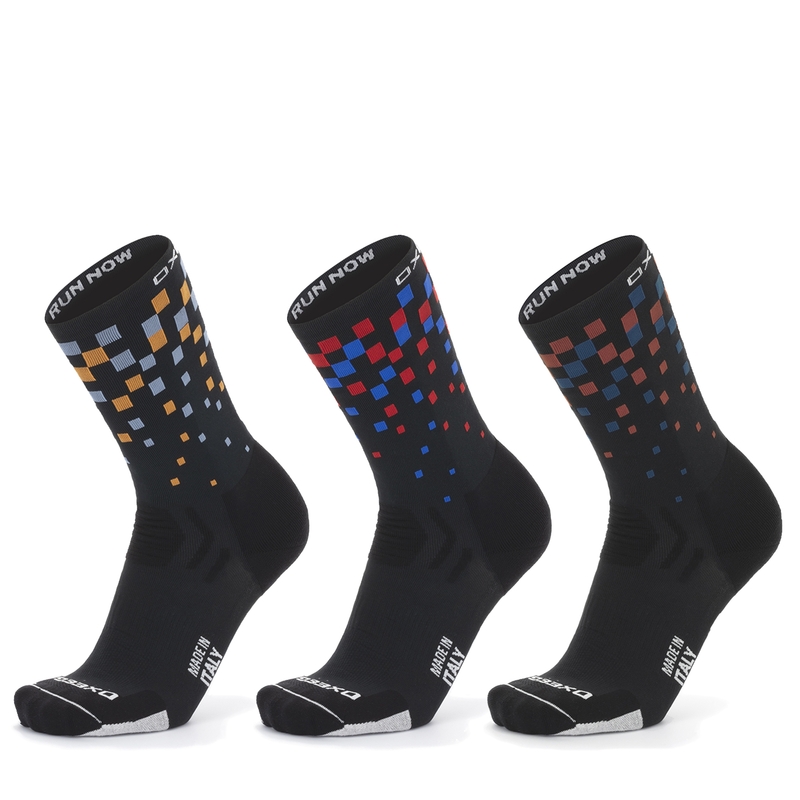 Oxeego Solid: the specific socks for cycling, high and high-performance. 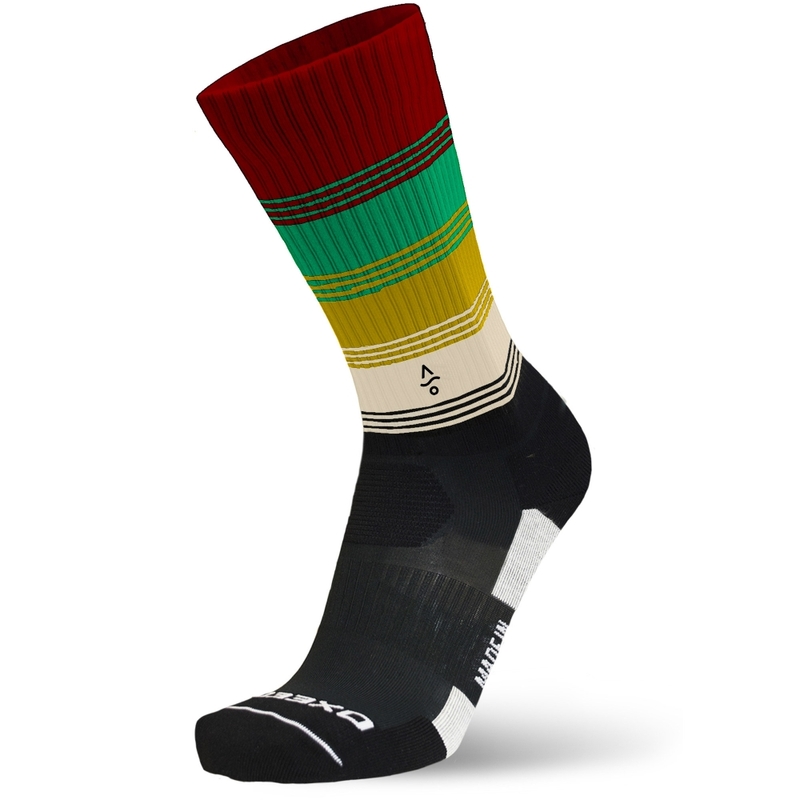 Solid, the sock for cycling! 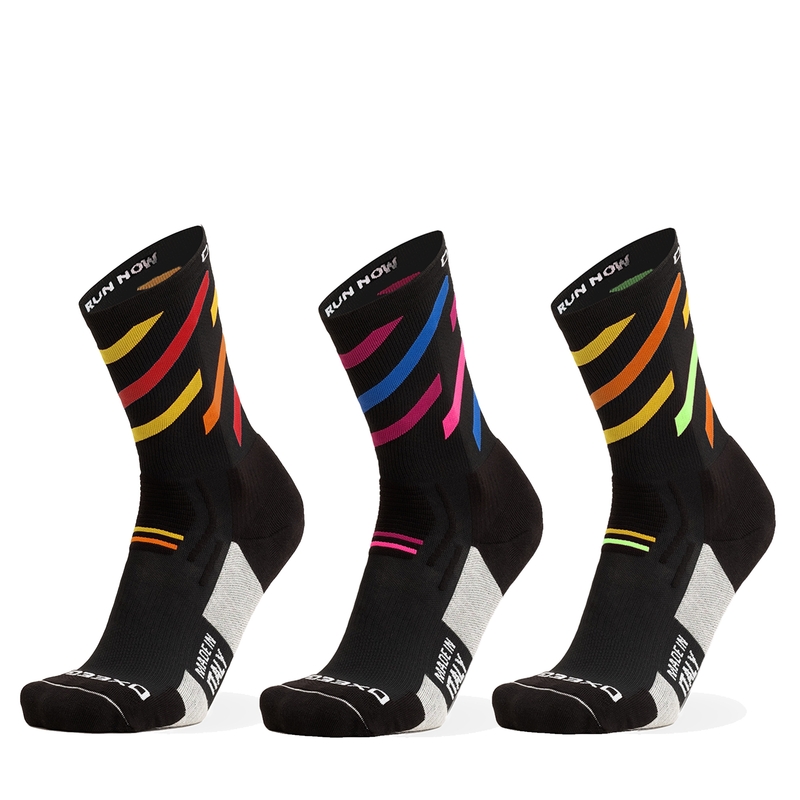 The specific sock for cycling Solid comes in completely black or white version and with a height of 23cm from the heel. It extends the oxygenating yarn Oxee O2 also in the ankle area and thanks to the slight compression remains firmly to the foot, thereby increasing oxygenation of the blood up to 24% helping to improve physical activity. The sponge Soft Touch, positioned under the toes, has a high capacity of body moisture devoicing and has excellent antibacterial properties, keeping the foot dry and hydrated eliminating sweat. Ideal for sports in hot climates. 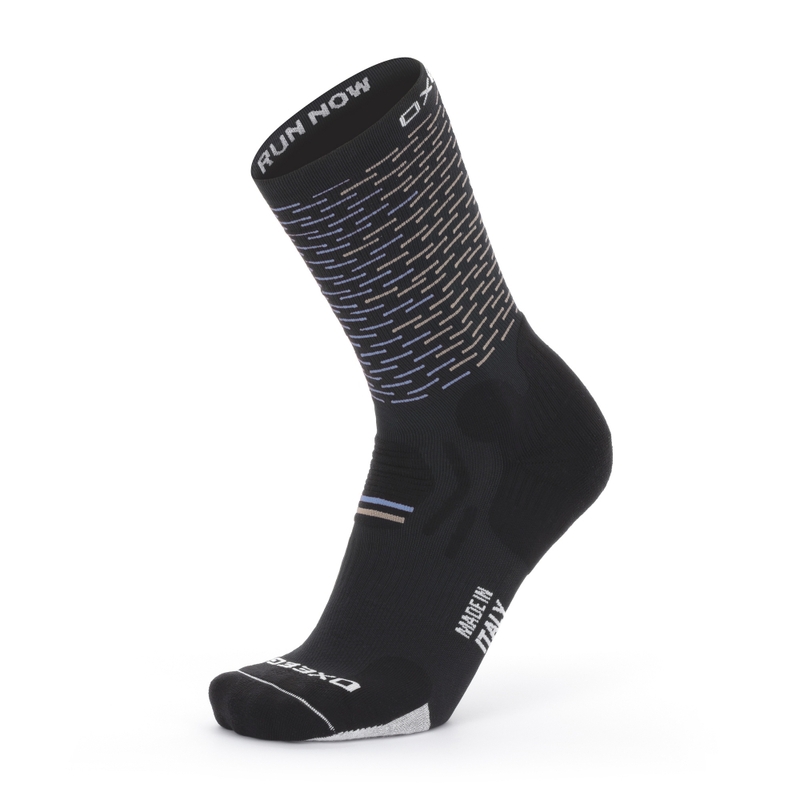 Reinforcement: heel and toe with breathability zones in the neck area and the arch of the foot.